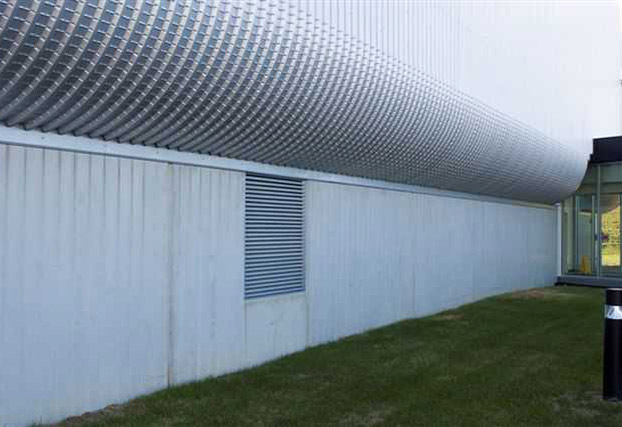 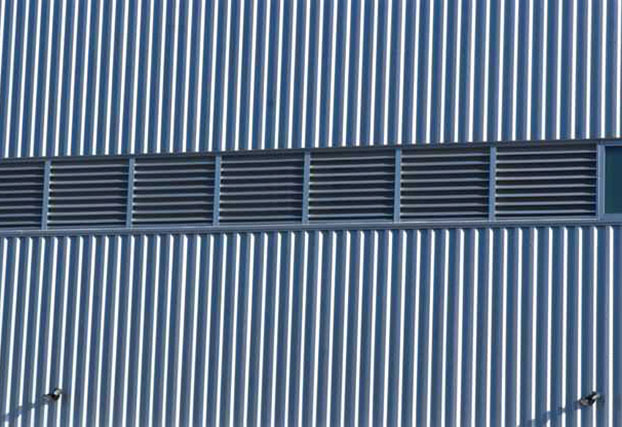 Architectural Louvers is a Wall louver manufacturer specializing in architectural shape and decorative aluminum wall louvers, louvered roof top equipment screens, visual barriers and vents. 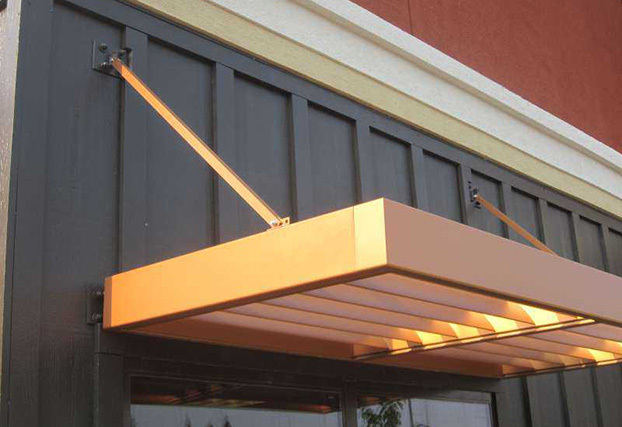 Our entire company is deadicated to responding to your needs. 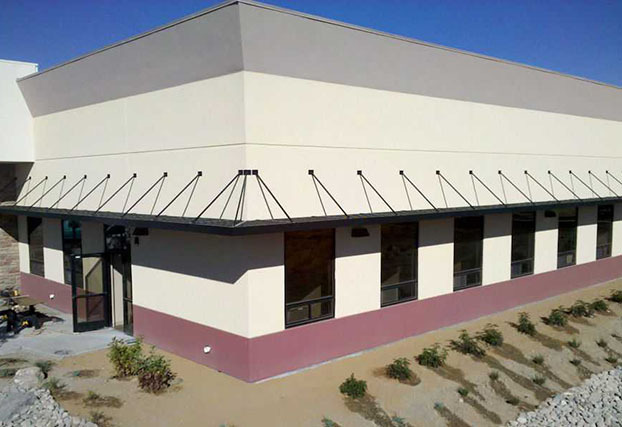 Whether you have technical questions, need detailing experience, specifications, or budget pricing -- our staff of experts will assist you. 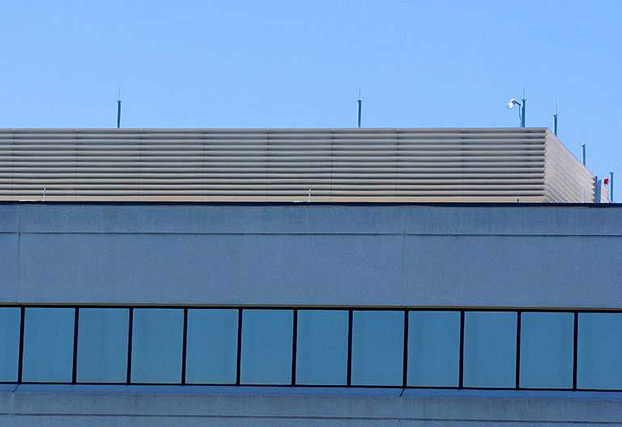 Speak with a live person and get your answers in one phone call or contact us here. 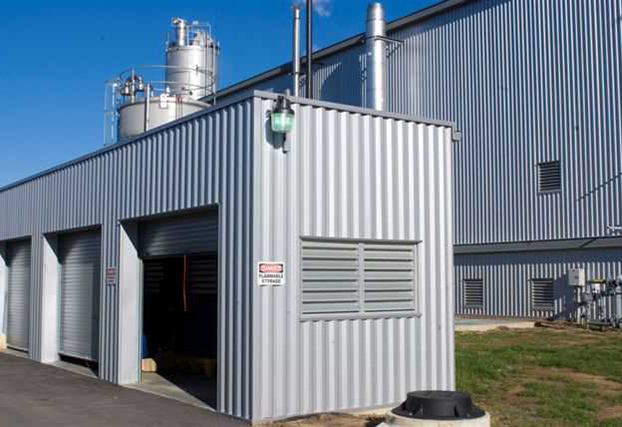 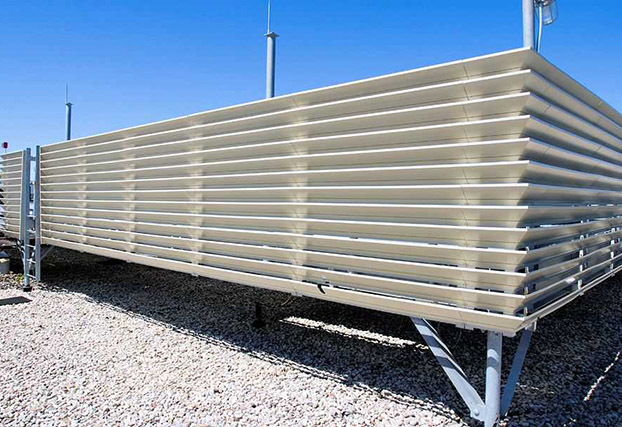 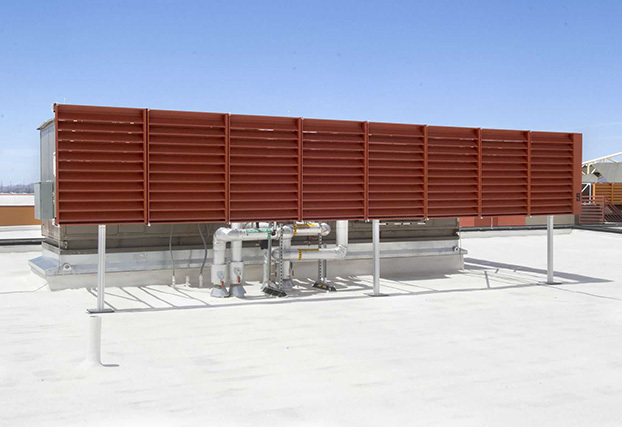 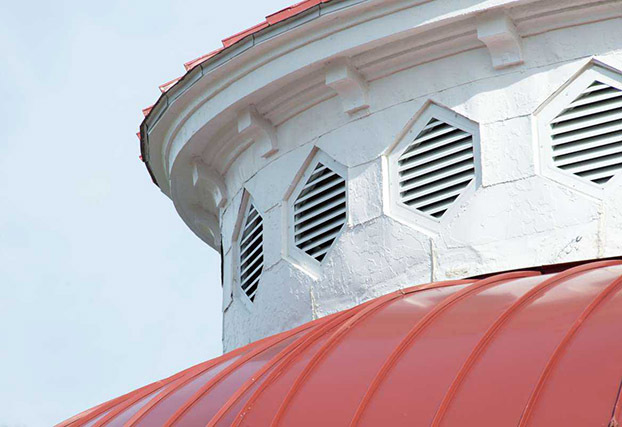 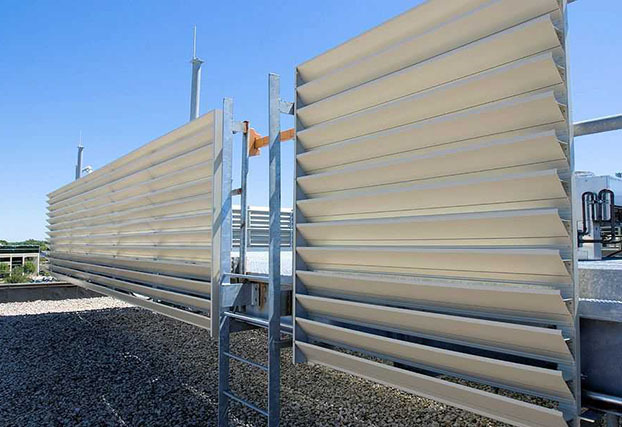 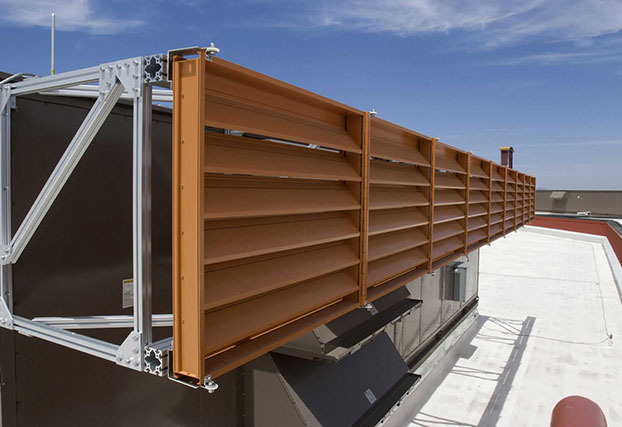 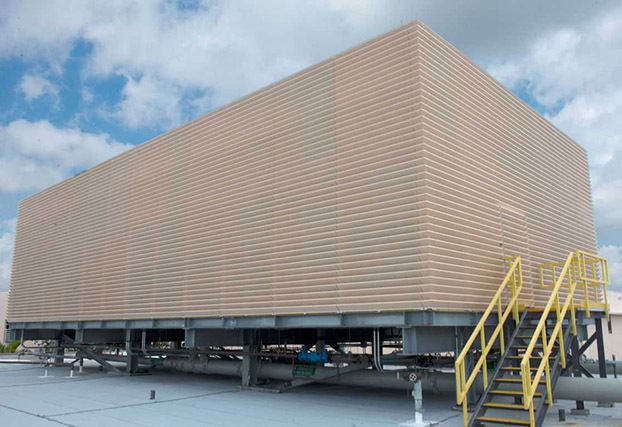 Direct mount louvered equipment screens - no roof penetration.